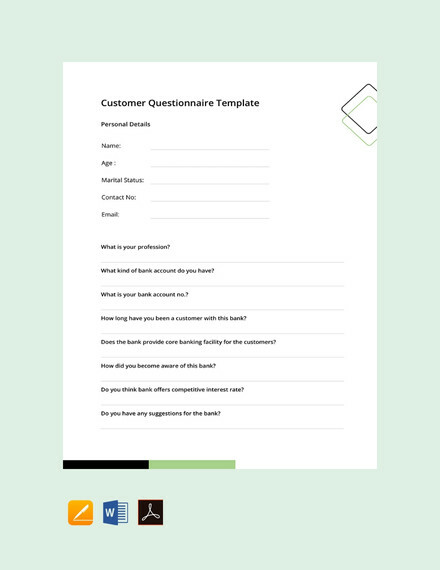 A questionnaire template is a tool usually used to provide a set of questions beneficial for data gathering, analysis and research. The importance of questionnaire is evident in a lot of processes as it allows entities to have an idea about the items and information that they would like to know. 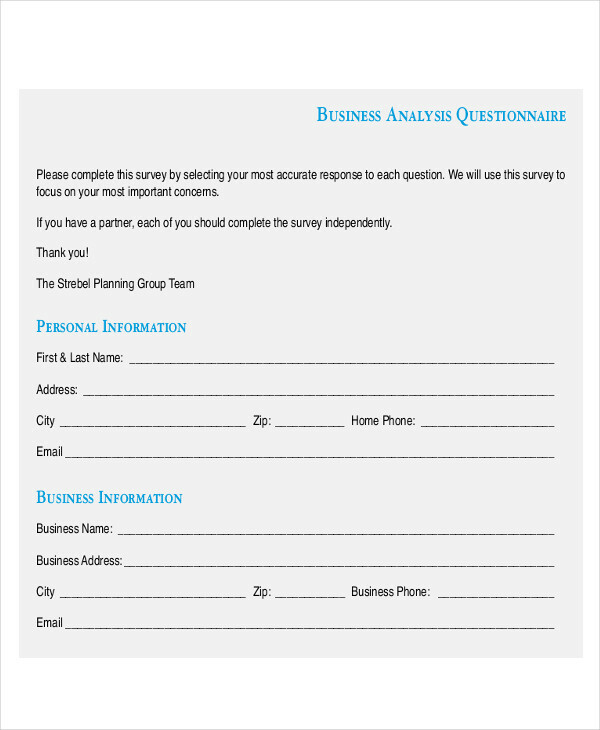 Questionnaires can be written, printed, or digital. This depends on the method that an entity will use to provide the questions to their target community. 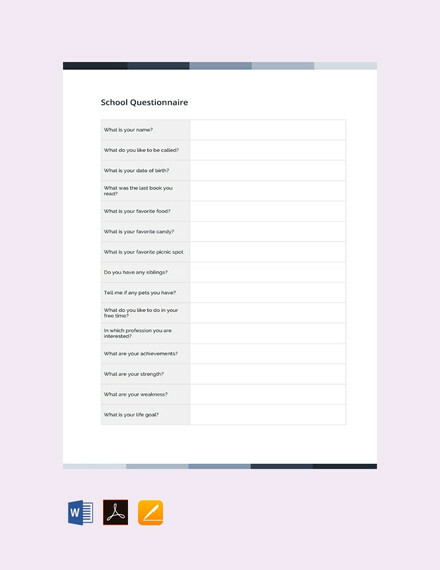 We have a selection of questionnaire examples in PDF which you may all download in this post. 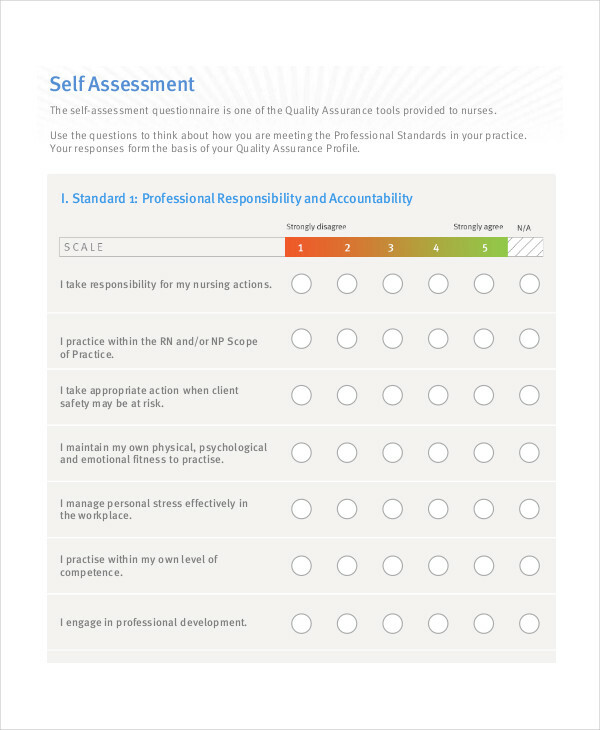 You may also see assessment questionnaire examples. 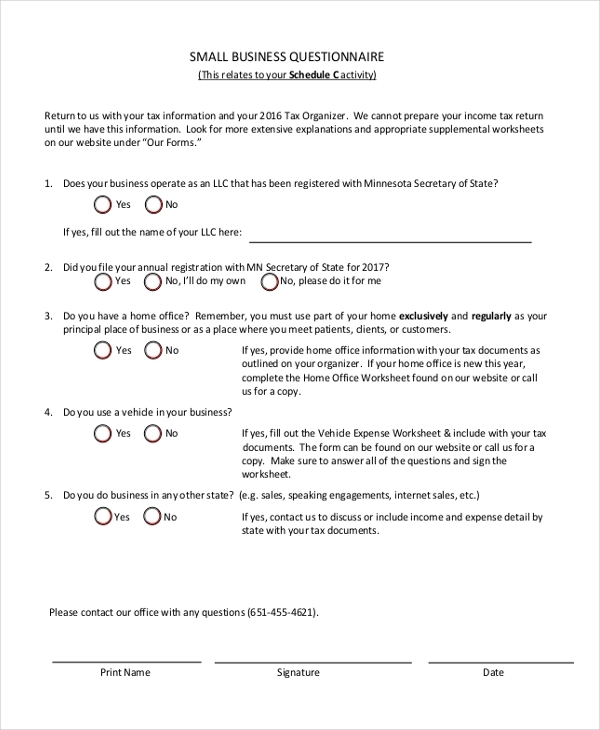 What Is a Questionnaire Example? 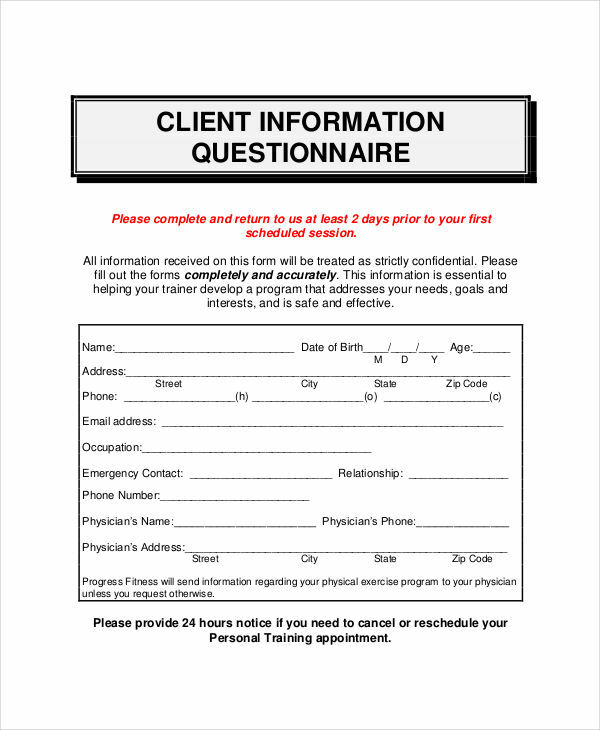 A questionnaire example is a document that provides questions for a predetermined group to answer. 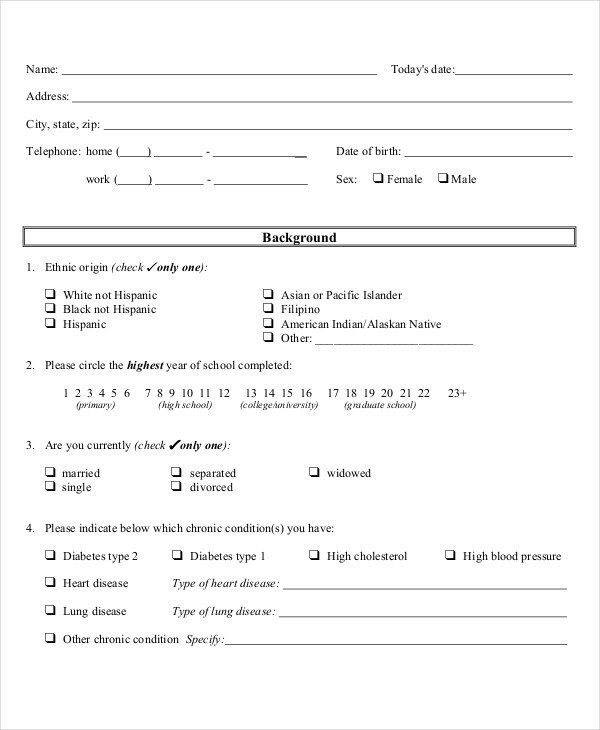 A questionnaire is a sheet of paper or a digital copy that contains a series of items that people need to fill for an entity to gather data needed for research or assessment. 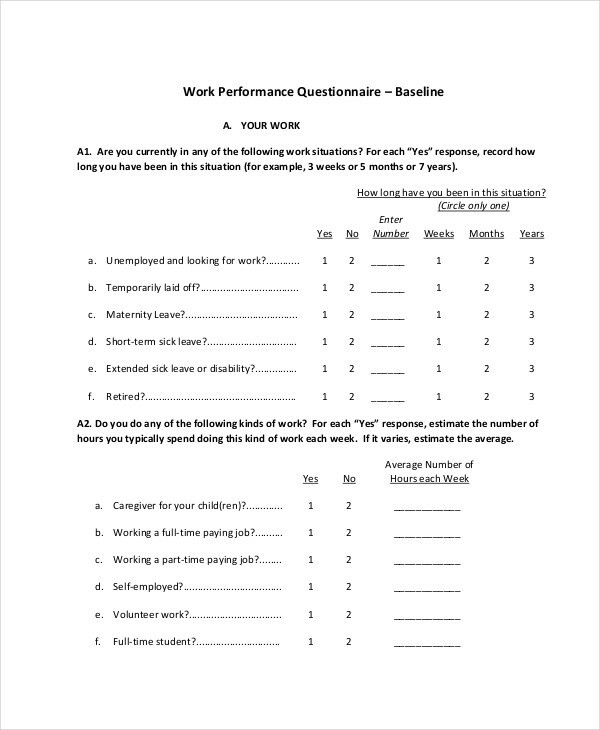 You may also see evaluation questionnaire examples & samples. 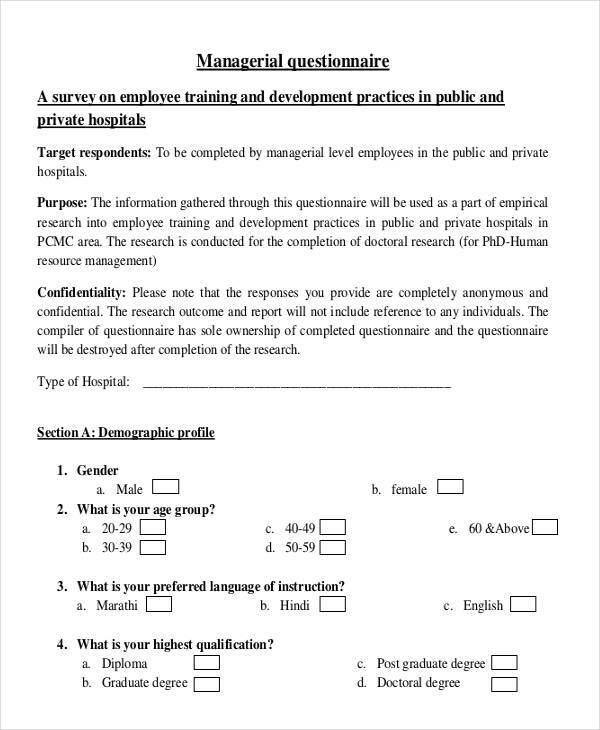 A questionnaire is a research instrument used for statistical analysis of the details presented by and for a target group. 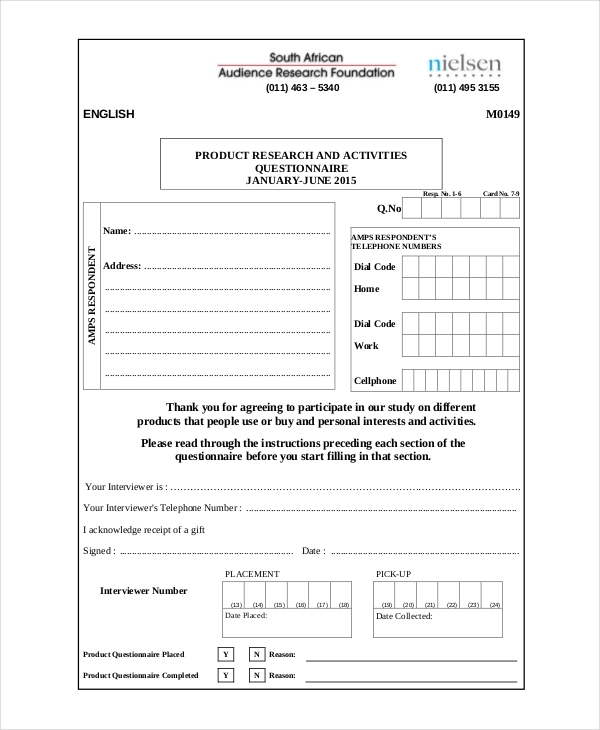 Identify the purpose on why the questionnaire is needed to be created. 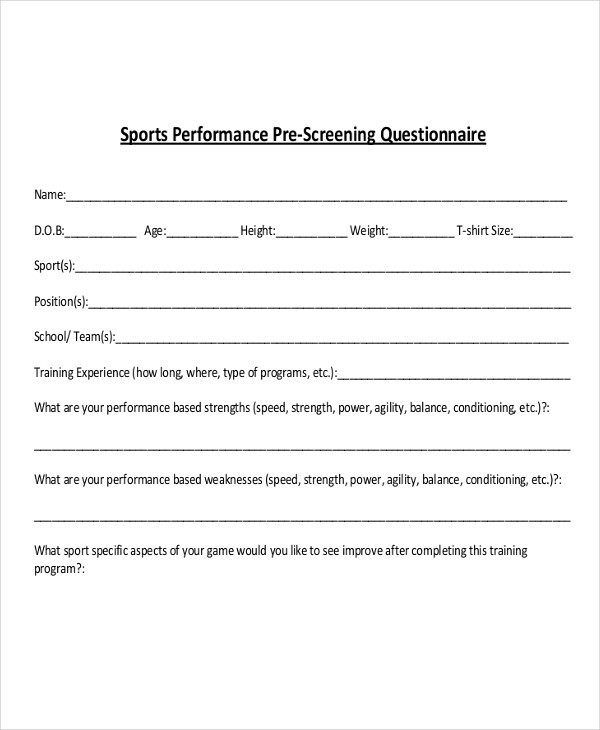 Make sure that you are aware of all the variables that should be present within a questionnaire which includes: the questions that you would like to ask; the community that you will use to answer the questionnaire; the kind of assessment that you need to have the result that you need. 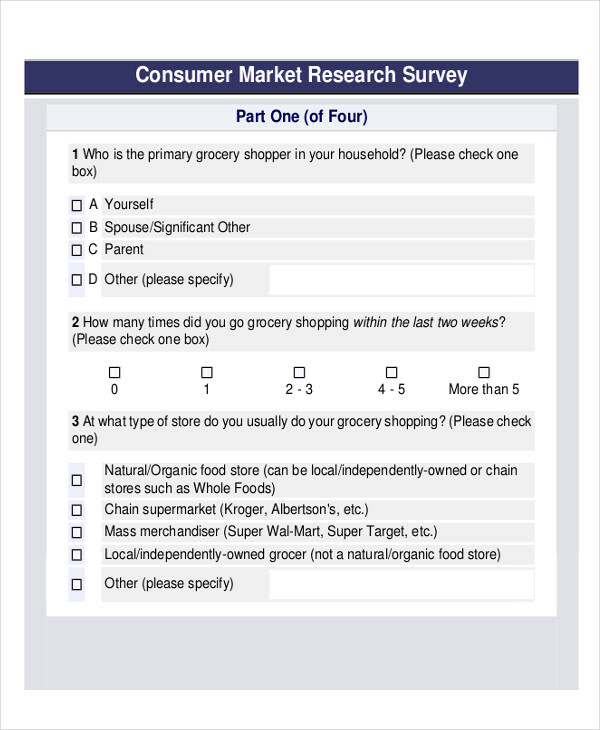 You may also like lifestyle questionnaire examples & samples. 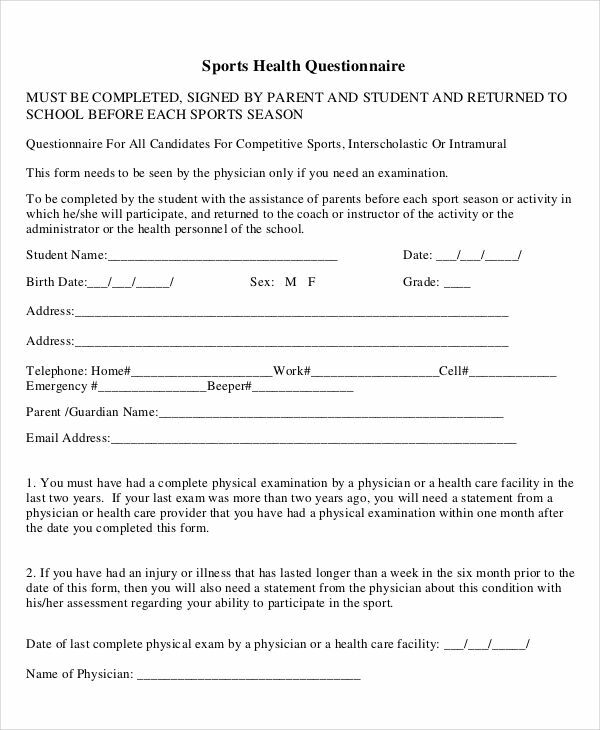 Specify the instructions and directions that the community who will answer the questionnaire should follow. Properly place the questions accordingly based on how they can affect the areas of the study that you will execute. Know the medium or platform that you will use in disseminating the questionnaire to your target community. 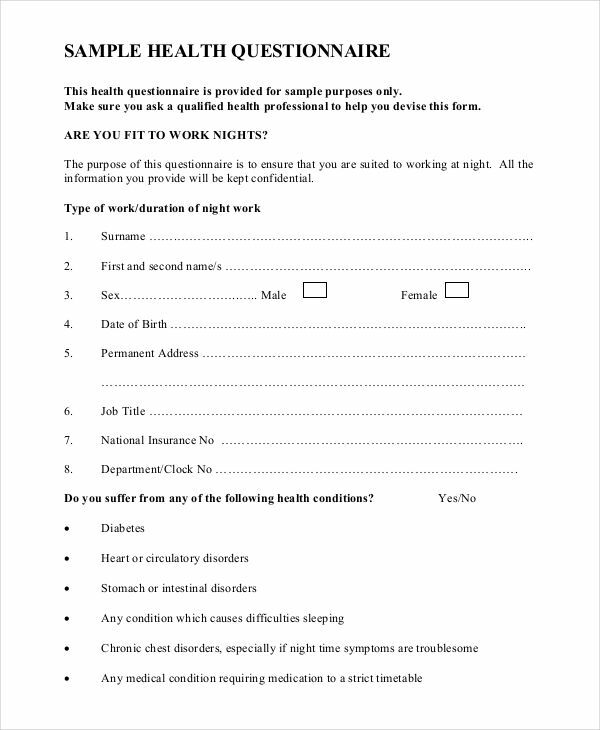 You may also check out how to prepare a questionnaire. Be specific with the kinds of questions that you will throw to your community. It is important for them to know the things that you would like to know so they can supply the information that will fit your needs. As much as possible, use a conversational language unless it is a strict scientific questionnaire that you are creating. 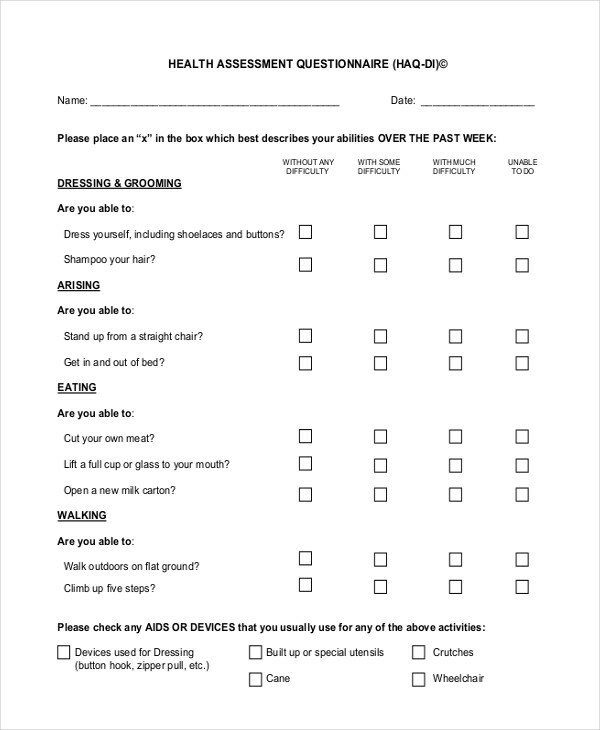 It will be very helpful to assess the language that you will use especially in consideration to the condition or social level of the community that you will give the questionnaire to. 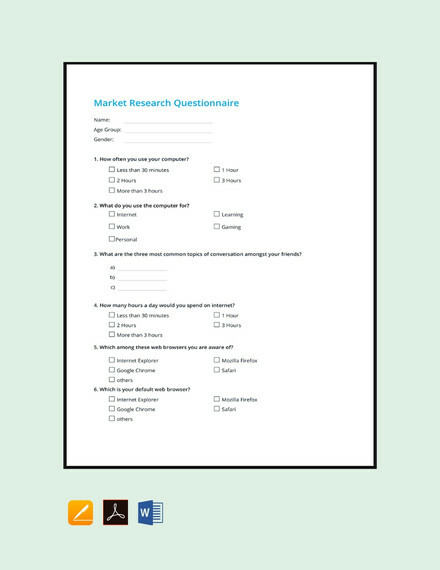 You may also see product questionnaire examples & samples. Be direct to the point in terms of the directions that you will give. It will be helpful if you have different directions to the different areas of your questionnaire. Make sure to know the scope of the initial direction before creating another one for the next phase of the questionnaire, if there is any. 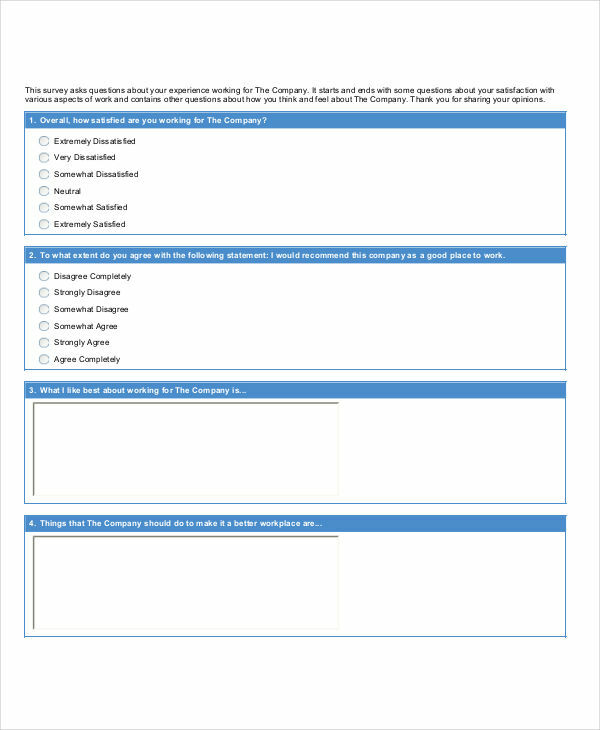 You may also like examples of questionnaire for customer satisfaction. Always be structured in terms of the questions that you will present. More so, it will be best if your questions are arranged based on their relevance to each other rather than skipping to other details right away. To build health questionnaire examples essential for the improvement of the medical, sanitary and health safety condition of a community. 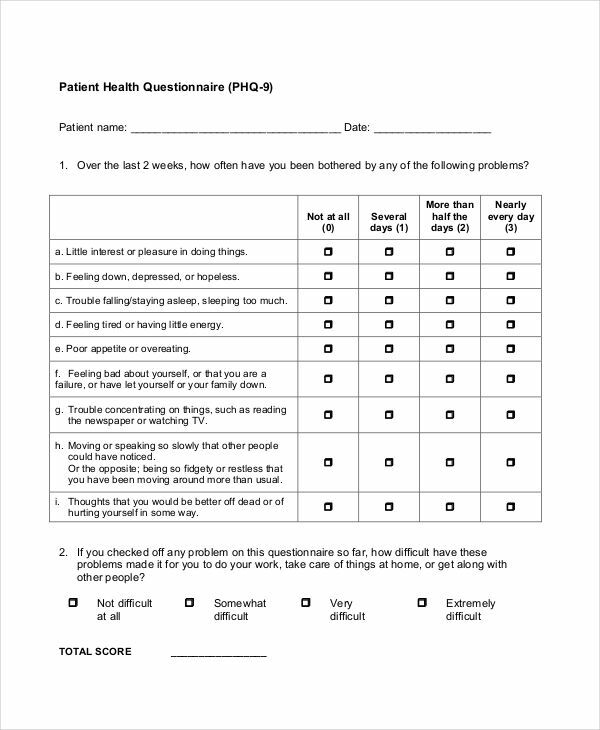 Why Are Questionnaire Examples Important? 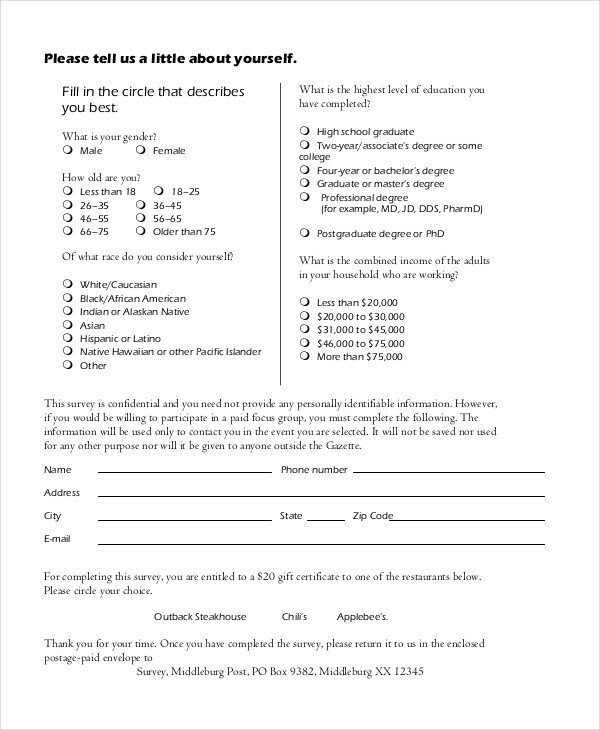 Survey questionnaire examples can get the relative percentage of the thoughts of the predetermined community. 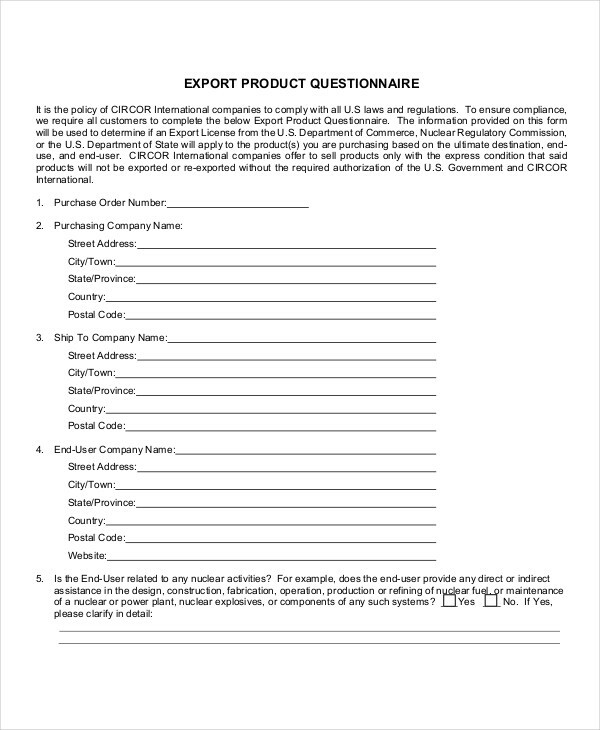 Using questionnaire examples allows the entity to have a guide in the interpretation of the output that they will have based on the answers present within the specified document. 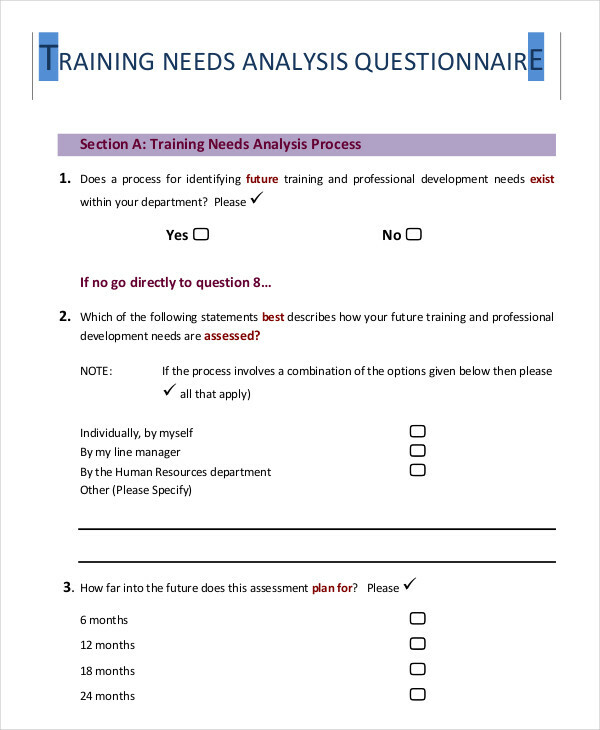 Questionnaire examples assures that there will be an objective method which will be used for data gathering and assessment. It can set the tone in which the study or research will be based on. If the questions present within a questionnaire has been though of properly, it can help a lot in terms of providing the details necessary for the development of the study. 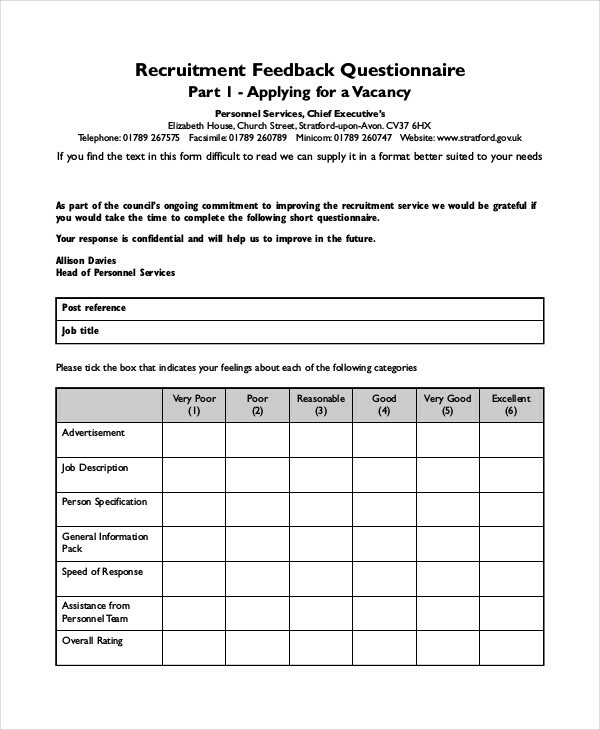 Interview questionnaire examples allow the interviewee to be fully aware of the content that he / she needs to provide. This way, he/she can be more open about the things that are only important to the study which will then help the exchange of details not veer away from what the written interview is all about. 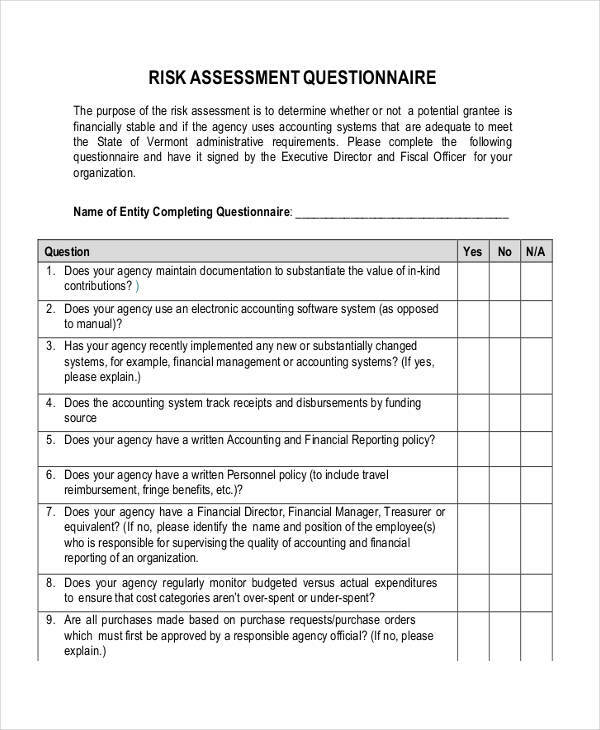 Using a questionnaire can make it easier for an entity to gather data in a wider manner within the community that they will use for an assessment. 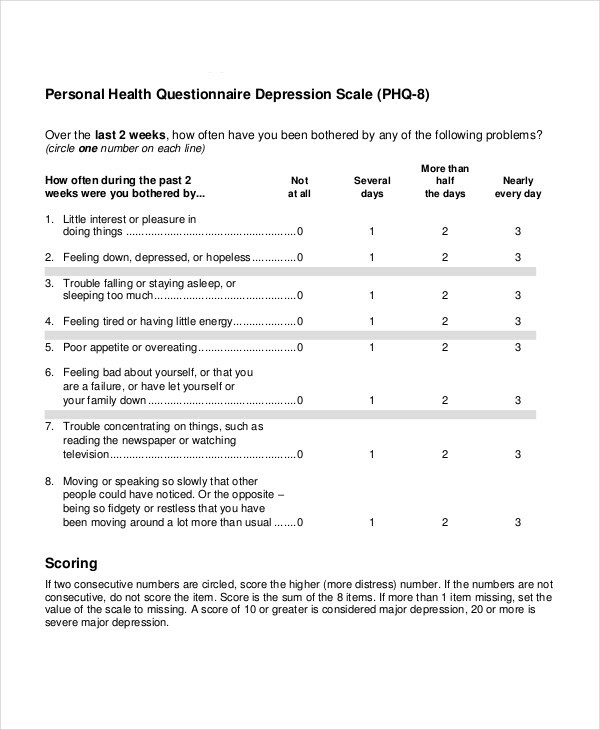 You may also see health questionnaire examples. 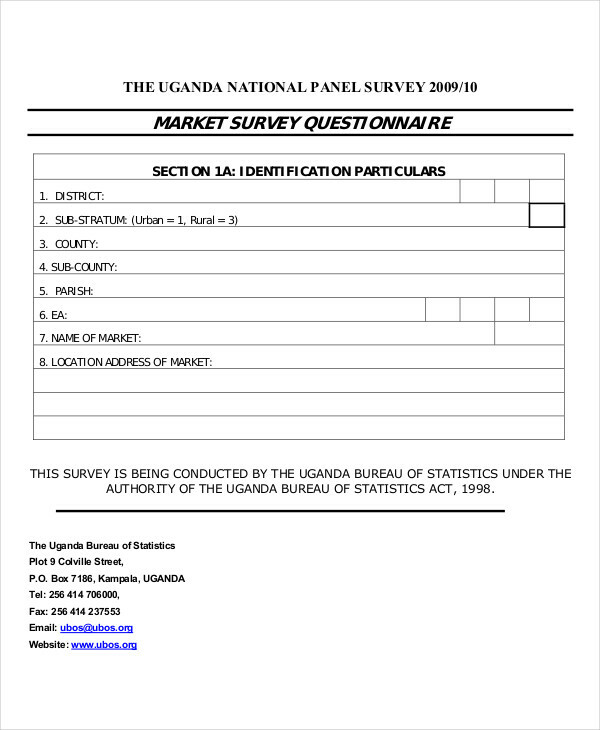 Questionnaires make it easier to analyze the data being collected especially if the content of this document are already pre-arranged based on how they can affect the flow of the process where it will be used. There are still a lot of ways on how questionnaires can be beneficial. 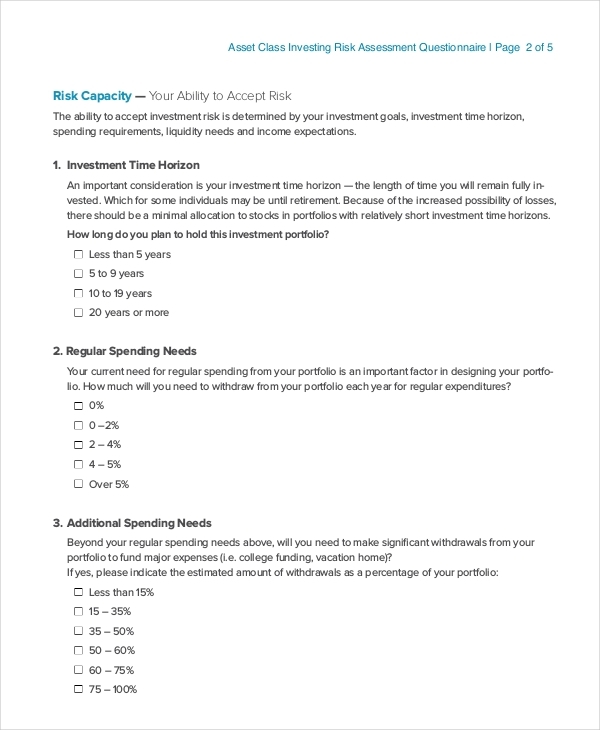 If you will create one, make sure to have a template to follow for a better format and always be reminded of the tips and guides that we have presented in this article.